This Trilogy is both a journey of 3 weekend workshops and the time between them. What we do during the workshop builds on our life and our life builds on who we are at the workshop. This journey has a beginning, middle and end, and none of them exists without the other. Throughout this journey we will co-create a safe and sacred space for us to explore, learn, grow, share and be. 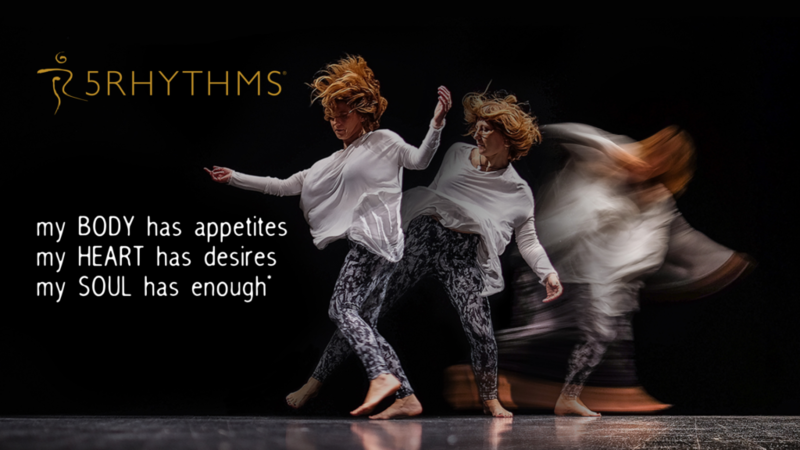 Our work is based in 5Rhythms practice, in its simplicity and depth, its formless form giving us just enough structure and just enough freedom to navigate through the dances of our bodies, hearts and souls. Our dance is original, organic, home-made. Let’s get to know our appetites better then they know us. Let’s hear our desires before they forget about us. Let’s find a way to arrive to that place where we have enough, where we are enough- for as much and as long as possible. You are welcome, Body, Heart and Soul. For residential module 3 the costs of the stay and food in the residential venue come with the module costs. early booking price per module is 150/190 EUR! WORKING TEAM price is 100/120 EUR per module. Applications are necessary, with 70 EUR deposit. The amount of the deposit is subtracted from the last module payment. In case you are unable to participate in one or more modules, for whatever reason, you will have to pay 70% of your price for that module/s.